To step-up the labeling operation in your production facility, you need a semi-automatic or automatic labeling machine from JORESTECH®. This widely respected company specializes in packaging machinery, material handling and coding equipment, and we offer their superior machines at affordable prices. There are motorized semi-automatic bottle labelers and automatic labeling systems for round containers, oval and flat containers, flat surfaces, and thin, flat surfaces. This equipment makes it possible to label nearly any kind of product or package. 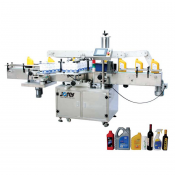 Our semi-automatic bottle labeler machines are compact in design and made for table top use. They accommodate various bottle sizes and are operated with a foot pedal switch. JORESTECH® full automated labeling systems are available in different models for a wide variety of uses. Some models support both English and Spanish language and can work with both opaque and printed labels. 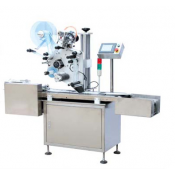 These labeling machines use self-adhesive, pressure sensitive labels, and they can be fed manually or integrated into an existing production line. 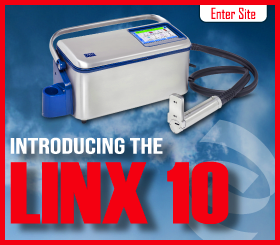 They can label different materials, including metal, PVC, glass, PP, PET, HDPE, and ceramics. Other models can apply 1 or 2 labels onto round, flat, or oval surfaces. There are also machines that are designed for flat surfaces like food trays, boxes, packets, envelopes, and cartons. 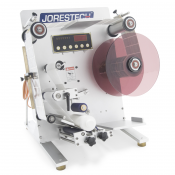 If you need to label thin, flat surfaces such as postcards, promotional material or envelopes, there is a JORESTECH® labeling machine specifically designed for those types of items. A labeler produces a consistent, professional product very quickly and easily. Certain automatic labelers can produce up to 200 pieces per minute, depending on the type of product and the feed speed. For more than 70 years, Technopack has been providing businesses with high-quality, affordable material handling equipment, packaging machinery, and supplies, with expert technical support.